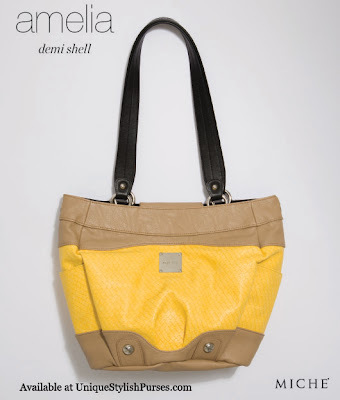 The bright saffron yellow of the Amelia Shell for Demi Bags will bring sunshine to your heart and smiles to the faces of everyone you meet! 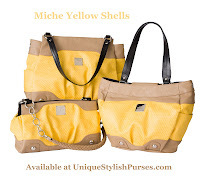 Woven embossed patterned faux leather is complemented by contrasting tan accents and topped off with two oversized studs on the front. Bring on the happy! Side pockets.